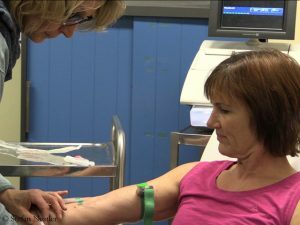 US researchers from Texas found in two experiments with mice that heart muscle cells devided when the animals were exposed for two weeks to oxygen deficiency corresponding to conditions at 7,000 m. In mice which had previously been triggered myocardial infarctions, cardiac function improved after two weeks of hypoxia. Now it is to be tested whether this effect also occurs in humans. 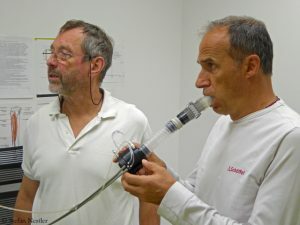 For this purpose, Dujmovits and Hansen, both healthy, will spend two weeks in an oxygen-reduced environment comparable to 7,000 meters above sea level, as subjects of the pilot study. 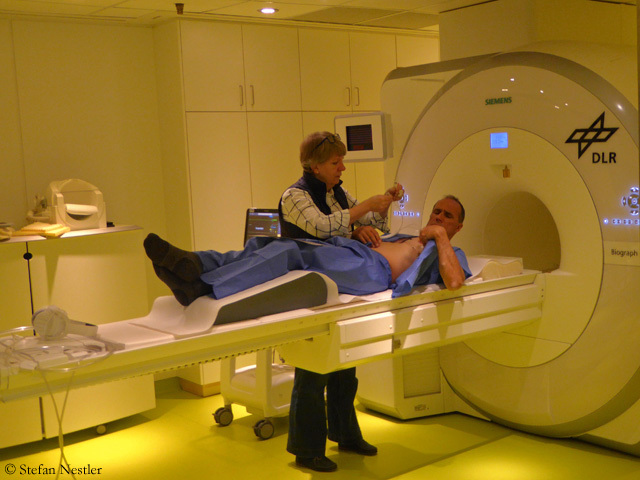 “We expect them as healthy, well-trained subjects to increase their cardiac output as well,” says DLR doctor Ulrich Limper during the first of several preliminary examinations in Cologne. 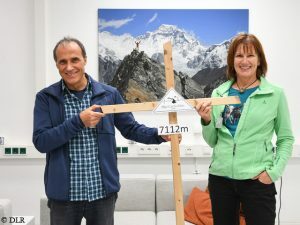 For a further study, an experienced mountaineer is being sought as test person, who has already stayed at heights significantly higher than 7,000 meters and in addition has suffered a heart attack. 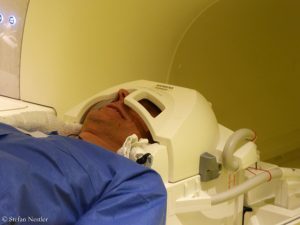 He too is to spend two weeks in hypoxic conditions – of course only after he has completely recovered from the infarction. 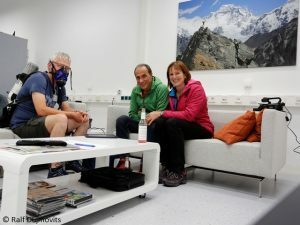 Ralf and Nancy first want to pre-acclimatize on the mountains in the Swiss canton of Valais and then go to the hypoxia chamber in Cologne in mid-May. 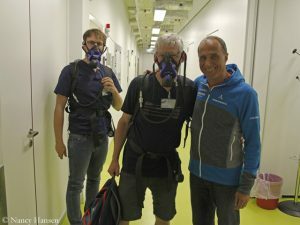 In the first two weeks, the simulated altitude will be increased from 3,000 to 7,000 m by adding nitrogen and thus slowly lowering the oxygen concentration to eight percent (usually it is 21 percent). Over the last two weeks, Dujmovits and Hansen will have to hold out at the equivalent of an altitude of 7,000 m. Unlike in the mountains, however, the air pressure in the chamber remains constant, so that the experiment could be terminated immediately in case of complications.